Our Bicycle rental and tour services are available on weekends, national holidays and throughout the weekdays. The bicycles in our rental fleet are of well-known brands, to name few of them: Merida, Format, UT and Java. The components and materials used in these bikes are made of light alloy, instead of traditional metals, like steel. This results in the lighter weight of bicycles, ensuring speedy movement with fewer efforts. All of our rental bicycles are equipped with 21 combination gear shifters, premium breaks, bottle holders, and 26’ Inch tires, which results in a smooth and comfy ride for our customers. Alibaug Bikes love its customers and care for them; hence we provide complimentary helmets, to all of our customers ensuring complete safety for them. Our bicycles are maintained by a team of professional mechanics, who keeps working tirelessly to give you best of cycling experience every time you hire them. 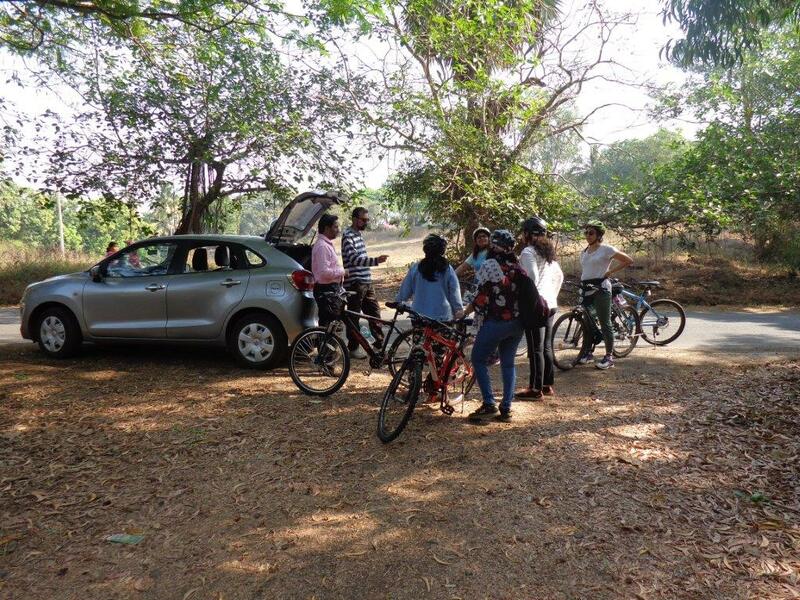 In addition, we also deliver bicycles to various locations in Alibaug. Get in touch with us for further details. Original Government ID proof (Aadhar Card, PAN Card, Driving License, Election Card) needs to be submitted and will remain with us until bicycles are returned. Refundable deposit of Rs.1,000 (for each cycle) need to be paid.